Baby Killing Is Fine. Yearbook Photos Are the Problem. 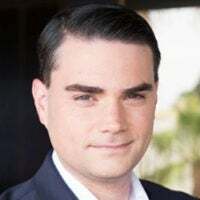 Ben Shapiro is host of "The Ben Shapiro Show" and editor-in-chief of DailyWire.com. He is The New York Times best-selling author of "Bullies." He is a graduate of UCLA and Harvard Law School, and lives with his wife and two children in Los Angeles. Last week, Virginia Gov. 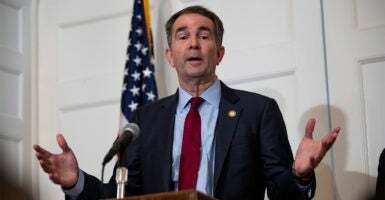 Ralph Northam was hit with a shocking blast from the past: a photo on his medical school yearbook page of a man in blackface and another man in a Ku Klux Klan outfit. Northam quickly apologized for the photo, then said he wasn’t in the photo, and then admitted he had once worn blackface and dressed up as Michael Jackson for a dance contest. He nearly moonwalked at a press conference before his wife gave him a look that could curdle milk. For this sin—the sin of an old, disgusting, racially insensitive photo—Northam now finds his political career on the skids. As of this writing, he’s hanging on by his fingernails, even as his lieutenant governor struggles with dicey sexual assault allegations. The same week that Northam found himself in hot water, he endorsed a Virginia bill that would have broadened the ability of women to obtain an abortion up to the point of birth. Virginia Del. Kathy Tran, a sponsor of the bill, stated in defense of her legislation that women would be able to obtain an abortion during labor. Northam then defended the bill, adding that if a baby were born alive during such an abortion—he assumed that the abortion would be due to “severe deformities” or “a fetus that’s not viable”—then the baby could be “kept comfortable” while the family and the doctor decide its fate. Even in the least appalling reading of his comments, Northam clearly endorsed infanticide. The only question is whether he endorsed the murder of fully born children. Yet these comments did not merit his ouster. In fact, they didn’t even merit an argument inside the Democratic Party about the extremism of the pro-choice position. Last month, Democrats in the state of New York cheered wildly for a law that opened the floodgates to third-trimester abortion, with Gov. Andrew Cuomo ordering state sites to be illuminated in pink in celebration of the potential murder of the unborn. The Democratic governor of Rhode Island endorsed a similar bill; Democrats in Vermont attempted to pass an even more extreme bill that would enshrine abortion as a “fundamental right” for the entirety of the pregnancy period. All of this is apparently less controversial than a three-decades-old photograph showing a medical student in blackface. Endorsing the killing of babies during dilation today—not 30 years ago, not 30 weeks ago—is considered less of a faux pas than racially offensive idiocy during the Reagan presidency. The morality of our nation may be skewed beyond repair. Northam certainly deserves criticism for his yearbook stupidities, and for his even more idiotic response. But if the American people are more consumed with the consequences of insulting costumes from 1984 than the murder of the unborn today, we deserve everything we have coming to us.